An interaction between two proteins enables cancer cells to use the physical forces of healthy cells to start spreading to other parts of the body. The finding by researchers from the Francis Crick Institute in London and the Institute for Bioengineering of Catalonia (IBEC) in Barcelona is published in the journal Nature Cell Biology. 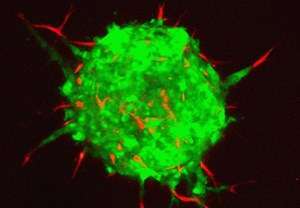 The process by which cancer cells separate from the original tumour to form new tumours in other organs or tissues of the body is called metastasis, and it is responsible for the majority of deaths in patients with cancer.